Note the highlighted section showing that every indicator is “increasing”. Labor market measures suggested a slight deceleration in employment growth and longer workweeks this month. 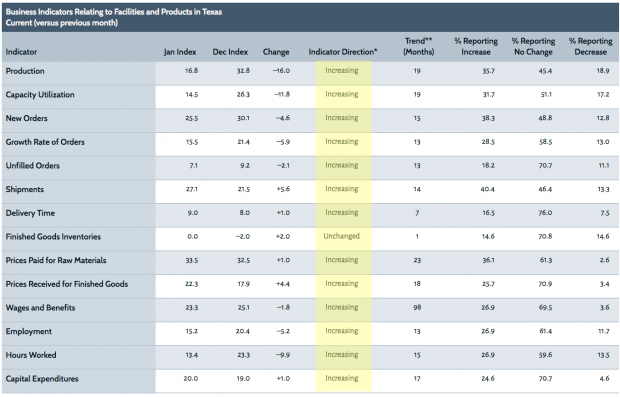 The employment index came in at 15.2, down five points from December. More than a quarter of firms noted net hiring, compared with 12 percent noting net layoffs. The hours worked index declined but remained positive at 13.4, suggesting a continued lengthening of workweeks. 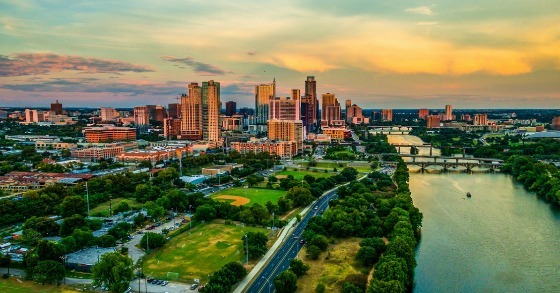 We continue to see strength in our Texas apartment portfolio in terms of rental demand and higher lease rates, which is consistent with a relatively strong economy as this report indicates. Houston is particularly strong as the economy continues to produce a significant number of jobs and there is not enough new housing being supplied, which is resulting in higher rents and home prices. Despite being hit hard by Hurricane Harvey in late August early September 2017 the Post Harvey outlook is strong. CWS has had a strong presence in Texas for countless years and our belief in the continued strength of the Texas economy continues.